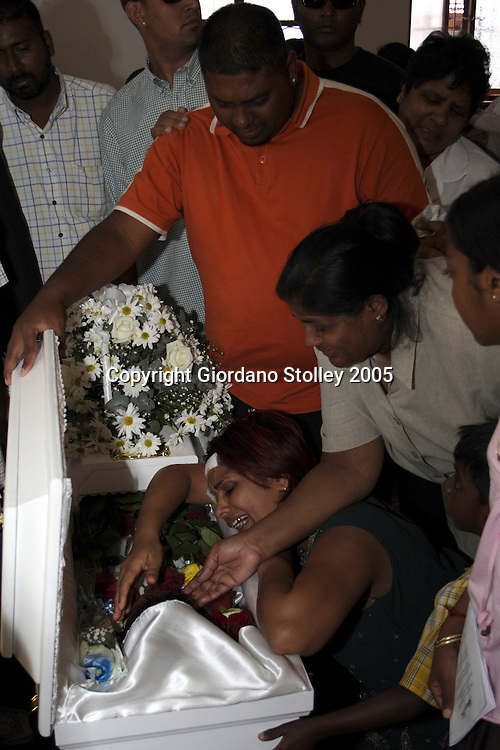 DURBAN - 3 October 2005 - Wounded in the forehead by a bullet meant for her husband Duncan, Leanne Arumugam cannot hide the grief at the funeral of her only son, 5-year old Dredin Lee. He was killed when gunmen staged "a hit" on their home. Apart from their son, Deon Govender, who was attempting to sell Duncan Arumugan an amplifier was also killed and a three year old niece was injured. Picture: Giordano Stolley.